Bowron Lake Provincial Park, a vast spread of land that stretches across the western slopes of the Cariboo Mountain Range in British Columbia’s Cariboo Chilcotin Coast, is filled with rugged, glaciated mountains, rounded hilltops, waterfalls and an abundance of wildlife. 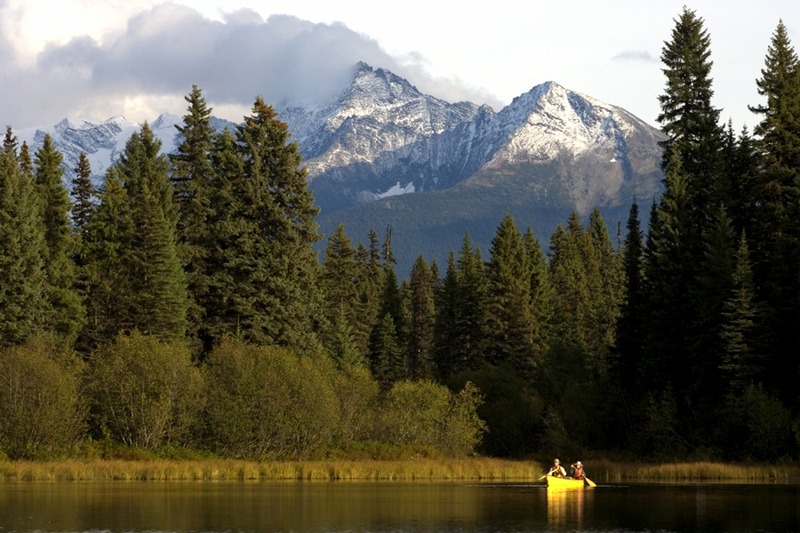 But it’s probably best known for its waterways, which make up the world-renowned Bowron Lake Canoe Circuit. The route of interconnected waterways runs along the near outer-edges of the park, stretching more than 100 kilometres long. With portages making up just 10.8 kilometres of the route, it’s almost hard to believe that the circuit is a product of nature – but nothing about this experience is artificial. Its ever-evolving backdrop of snow-capped mountains, azure lakes, sandy beaches and marshlands attracts paddlers from around the world, which is just one reason why you need to reserve your departure date ahead of time. Reservations for the upcoming season, which runs from mid-May to the end of September, are made available in October each year. 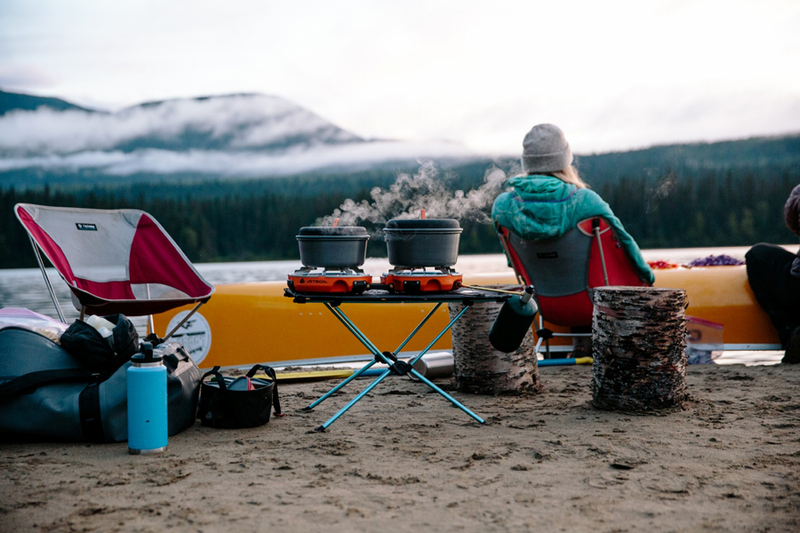 If you’re not big on planning in advance, consider this: the reservation system ensures that when you do get the chance to paddle the circuit, you have the room, and peace and quiet, to truly enjoy it. This trip is all about connecting with nature. The ban on stereos, pets and powerboats, as well as the lack of cell service, add to the solitude. Restricting the number of paddlers also relieves any anxiety around the first-come-first-serve campsites and helps preserve the park’s vast array of wildlife. 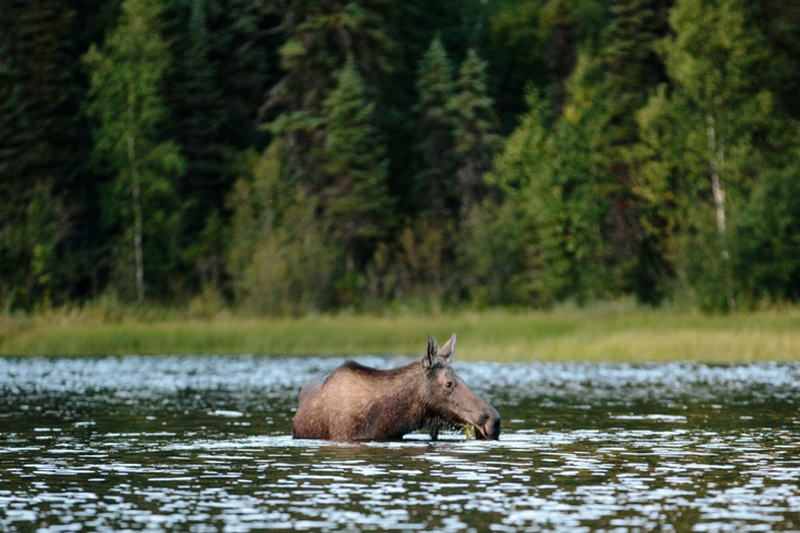 After all, it’s not uncommon for paddlers to see animals like beavers, bears, moose and otters feeding along the waterways, and the Bowron River estuary is a birdwatcher’s paradise. The water conditions, including wide wind-swept lakes, fast-flowing rivers and even whitewater, which can be paddled and portaged, are as diverse as the scenery. Given this, you should have some paddling experience before booking the trip, though travelling with guides can help. The small, family-owned company Pathways has been offering guided trips in Bowron Lake Provincial Park since 1973 and staffs guides who are equally passionate about the route today. Sea to Sky Expeditions also provides an exceptional learning experience for paddlers looking to explore the circuit without the pressure of planning the whole trip. If you aren’t keen on the idea of sharing campsites, consider booking during the less popular shoulder seasons. The lakes are usually ice-free by mid-May; in the fall, expect snow by late September. The peak-use period is the last week of June until the first weekend of September. Another tactic is to begin your trip mid-week, when the fewest number of vessels tend to be departing from the circuit’s starting point in the northwest corner of the park. The park’s Registration Centre is located about 120 kilometres east of Quesnel. Reservation or not, paddlers must register and attend the mandatory orientation before beginning their trip, making the 25-site drive-in campground located nearby the perfect place to rest your head the evening before. From there, you’ll undergo what might be the most grueling part of the trip: a more than two-kilometre portage to the boat launch on Kibbee Creek, which flows into Kibbee Lake – the first of six major lakes connected by a series of smaller lakes, rivers, streams and portages. Although the route can be done in under a week, less-experienced paddlers should consider banking a little more time. It’s also worth building a few extra days into your trip so that you can enjoy sights along the way and even include a few additional adventures, like a swim in Rum Lake or a scramble up the 2,000-metre tall Wolverine Mountain. 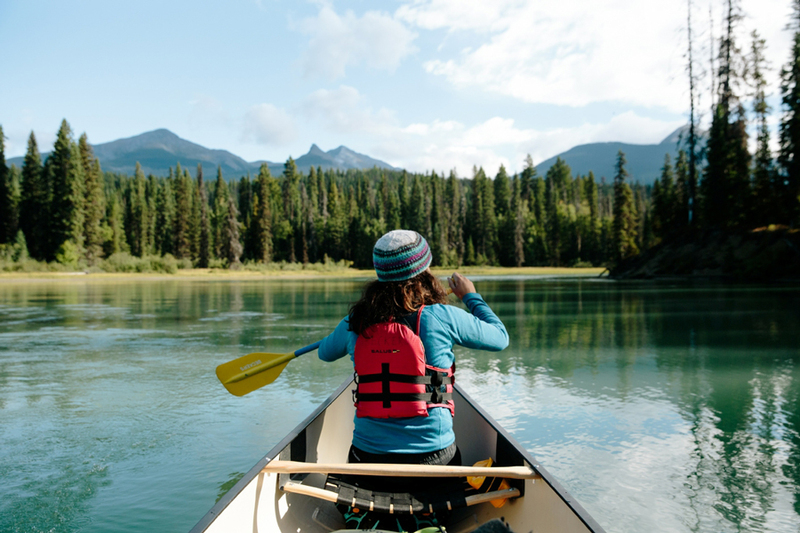 This quintessentially Canadian adventure is one of the area’s biggest draws, but it’s certainly not the only worthwhile adventure in the Cariboo Chilcotin Coast region. The town of Wells, about 35 kilometres west of Bowron Lake, was built to accommodate the area’s influx of gold miners in the 1930s. The now thriving arts community is also just a short drive from Barkerville Historic Town and Park. Barkerville is filled with countless heritage buildings, authentic displays, restaurants and shops, but if you really want to stretch your legs after that much time in a canoe, try hiking the mountains in the area. Filled with mining history, they offer the unique experience of following in the footsteps of those early pioneers. It’s an excellent way to cap off one of the highest-rated canoe trips on earth.